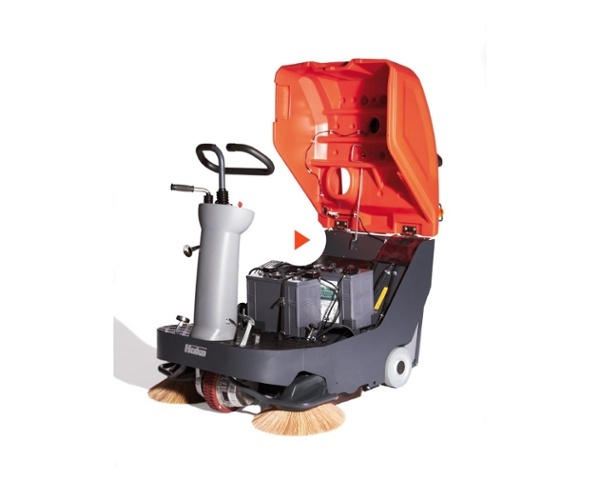 The Sweepmaster B800 R Electric (battery powered) sweeper has a working width of 890mm with a right-hand side broom as standard. The working width can be increased up to 1,110mm with an additional left-hand side broom. The side brooms are designed to sweep up dirt over the entire main sweeping width even when taking sharp corners. 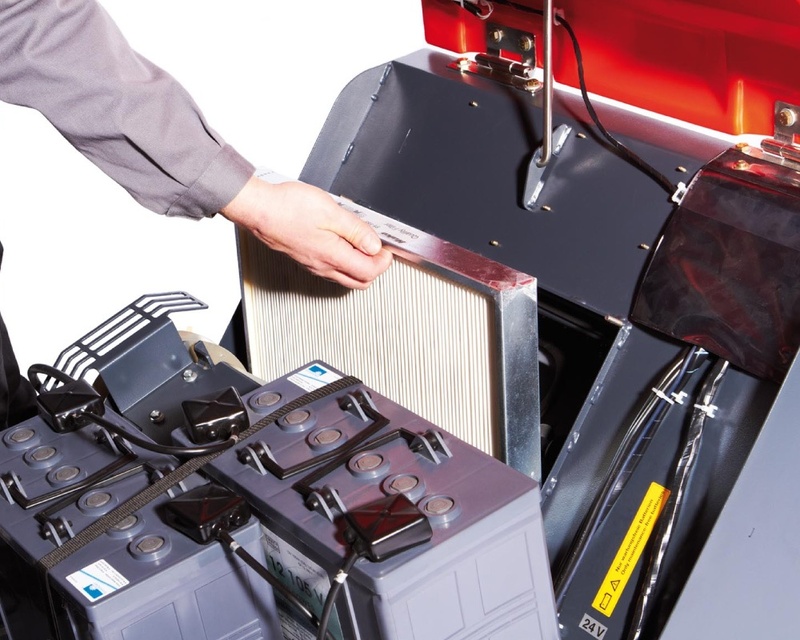 Items which are difficult to clear, such as nuts and washers, can be removed with ease even from smooth floor surfaces thanks to the IntelliFlap, a coarse dirt flap to pick up such items while other dust and dirt is contained in the hopper. To clear up larger debris, the flap can be opened fully via a pedal. 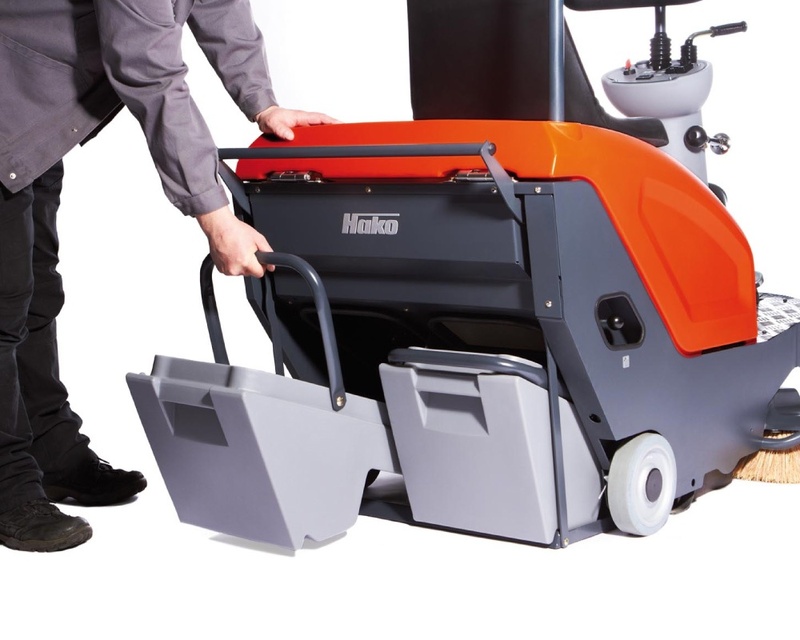 Dirt is swept up into two "Take-it-Easy" dirt hoppers which provide a total 50 litre capacity. The hoppers are easy to remove by hand and empty into waste containers. A 1.5mA² panel air filter and powerful suction fan keep the working area of the machine free of dust. The Sweepmaster B800 R comes with a powerful battery drive delivering continuous sweeping on surfaces with gradient inclines up to 16%. This machine is not just for flat surfaces! The additional service brake on the rear wheels provides increased safety on sloping areas. The on-board battery charger enables the battery to be recharged at any standard power socket providing 110 to 230 V AC electricity. 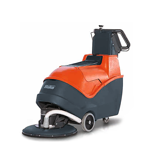 Sweep floors for up to 3.5 hours non-stop to leave a clean, dust-free environment for your staff and customers. Combining compact size with the convenience of a ride-on sweeper. 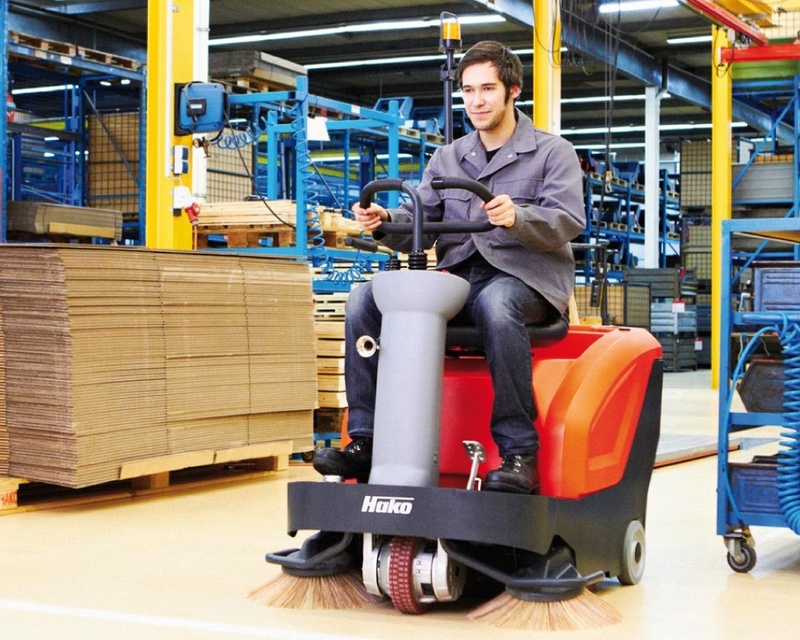 Hako Australia extends its ride-on sweeper range with the launch of Sweepmaster B800 R; a zero-emission, electric battery powered sweeping machine which combines the compact size of a walk-behind sweeper with the convenience of a ride-on machine. 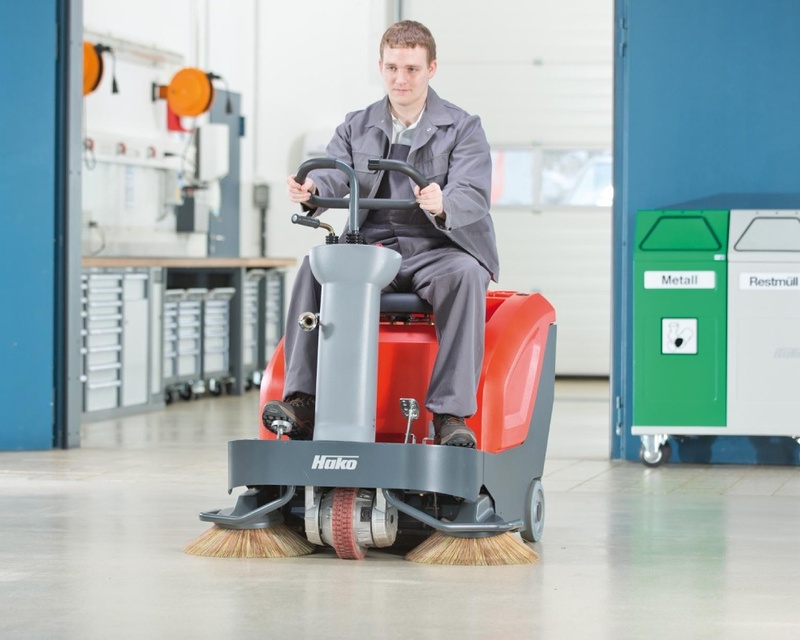 This new addition to the Sweepmaster range distinguishes itself through its high sweeping performance and robust construction, making it ideal for commercial use up to 6,660 mA² per hour. The Sweepmaster B800 R delivers excellent manoeuvrability, full visibility of working area and ergonomic seating for the operator. 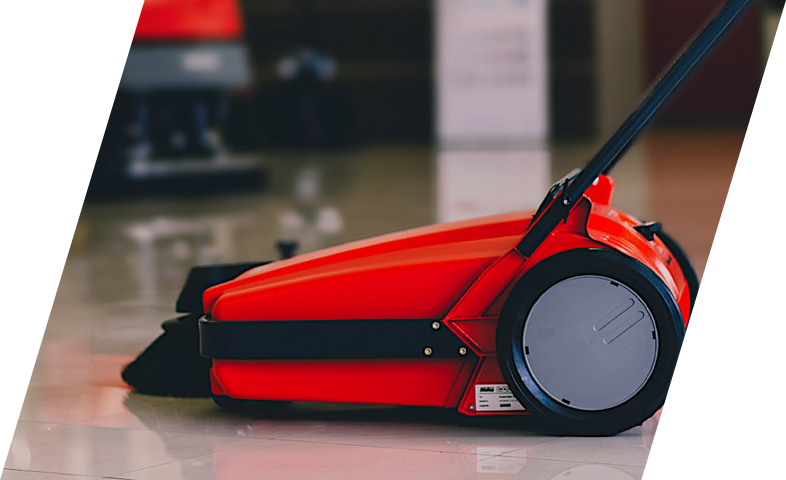 Combined with simple operation, the Sweepmaster B800 R is ideal to use for both in-house facility staff as well as professional external service providers.